As we prepare for Christmas, some of us might not feel the joy of the season. Perhaps, this is a season of loss and pain – loss of loved one, loss of job, loss of family, divorce, separation, or physical, emotional, spiritual pain. Perhaps, the news that fills our media weighs heavily on your shoulders. 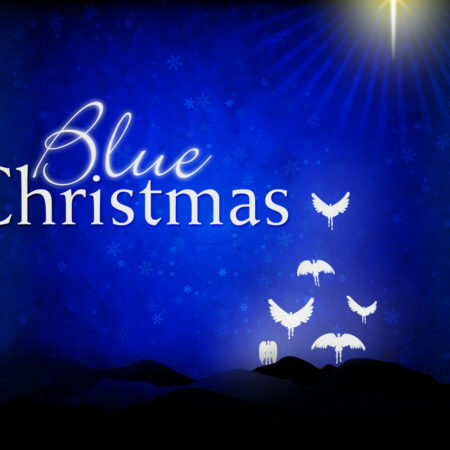 Anyone who feels that the holly and jolly of the season is not where they find their hearts, is welcome to join us for our Blue Christmas service. The service welcomes all with trust and understanding in what can be a very painful time of the year. The service includes the lighting of candles, meditative music, prayers, comforting scriptures, and the giving of prayer shawls. Join us as we offer a quiet and reflective service of light in the midst of darkness.